ONRAD Announces Support of NRHA - ONRAD, Inc.
Riverside, CA (MarketWire) September 15, 2010 – ONRAD, Inc., a leading radiology services provider, announces support for the National Rural Health Association (NRHA) by exhibiting at the Critical Access Hospital and Rural Health Clinic Conference in Kansas City, MO. Visit ONRAD at booth #221 to learn about the company’s complete teleradiology solution for critical access facilities, which can include standard teleradiology services, subspecialty teleradiology interpretations, professional radiology staffing, and technology consulting. “It is important that all patients have access to quality radiology services, regardless of where they are located, and ONRAD will continue to offer turnkey solutions to critical access hospitals at the most competitive prices,” said Dr. Vincent of the company’s commitment to working with rural facilities across the U.S.
ONRAD is a full service physician-owned radiology provider offering customized radiology services including teleradiology solutions, professional radiology staffing, subspecialty teleradiology interpretations, and technology consulting.  As a partner, ONRAD helps its customers be more competitive in their local markets by complementing and expanding the radiology services already in place, or providing a more comprehensive solution.